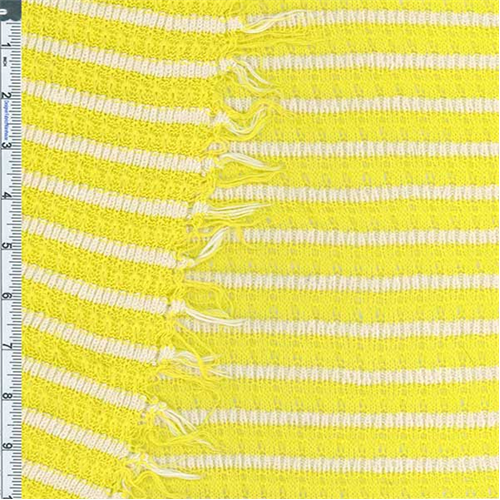 Cotton Blend Crochet Loose Knit Stripe Fabric By the Yard, Acid Yellow. Very lightweight highly drapable loosely knit tuck-stitch stripe with a cozy soft handfeel, sheer to semi-sheer. Edges are self-fringed. Suitable for loose-fit overlay crochet style tops as well as scarves, wraps, and trims.